When Eric first steps into the audio booth before weekend services at Grace Church, the auditorium is quiet, except for the low rumble of the air conditioner. In an hour and a half, the room will be filled with the roar of music and bustling families. But Eric won’t have to wait that long for the energy in the room to build. Within minutes, other team members from the audio and media teams have filed into the booth overlooking the auditorium. The teams contain only a handful of people, but they provide enough laughter and banter to make an empty auditorium feel completely full of life. Eric decided to start training for the audio team. 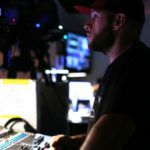 Now Eric is standing at the sound board, alternating between talking into his headset with the band on stage and cracking jokes with his team members in the booth between sets. He seems perfectly at ease, like he’s among family. Eric says, “My favorite part of weekend serving is getting the teams together for a few hours, spending time not only in prayer but in laughter and fun.” As someone who describes himself as an introvert, he doesn’t usually feel that kind of connection with people right away, though it’s exactly what he’d been seeking when he first attended that men’s retreat long ago. 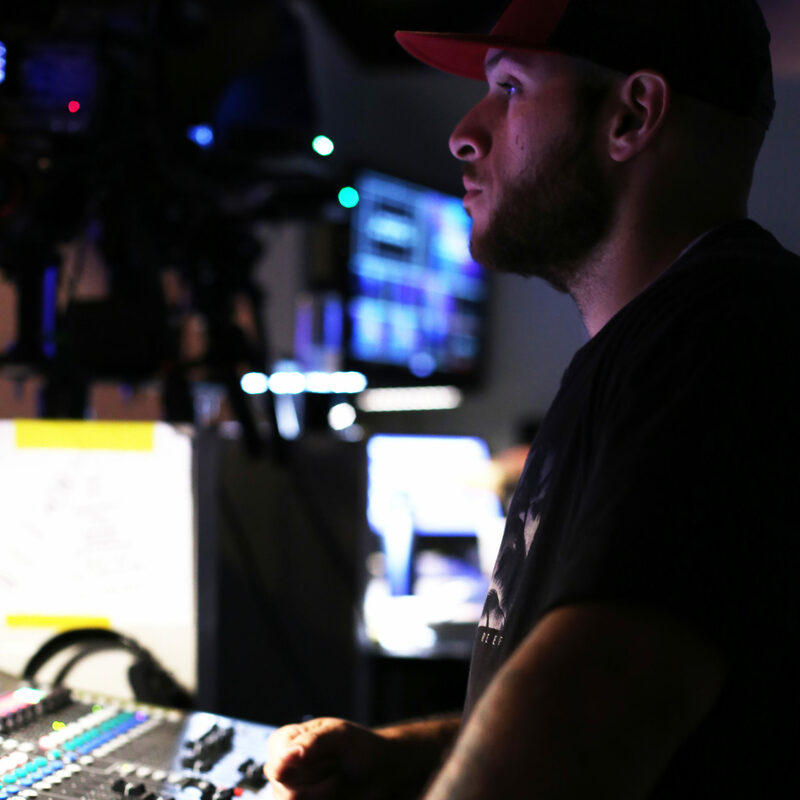 Interested in joining one of our technical or creative teams at Grace Church? Fill out this quick form and we’ll get you started!